"A true story about the will to survive, and the courage to forgive." 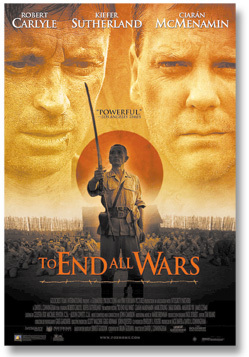 War Drama Written by Brian Godawa A true story about Allied P.O.W.s who endure harsh treatment at the hands of their Japanese captors during World War II while they are forced to build a railroad through the Burmese jungle. One man finds hope in creating a "jungle university" to teach the men Plato, Shakespeare and the Bible. An epic story of war, courage and forgiveness. It's about the triumph of the human spirit over man's inhumanity to man, and one man's journey from the prison of self-survival to the freedom of self-sacrifice.